The Flex is sleek, simple, and fun to use, but shouldn't be mistaken for serious fitness technology. While cycling or running we’re accustomed to getting wired up to track metrics like heart rate, cadence, speed, pace, and GPS coordinates, but we’ve never tried going the “quantified self” route by keeping a digital record of the rest of our daily lives. We don’t know how many miles we log while pacing on phone calls, going up and down the stairs, or jogging to the beach for a quick surf check. Neither have we tracked how much sleep we get each night. Fitbit’s newest, hippest tracker, the Flex, reportedly does all this, so we decided to give the hot, little rig a test run. FItbit’s Flex Wireless Activity and Sleep Wristband is a sharp looking slice of tech jewelry that wraps lightly on the wrist like a bracelet. What it lacks in diamonds and gold, it makes up for with five tiny blinking LED lights, and the occasional ticklish vibration. The strap cradling the removable jelly bean-sized brain of the Flex looks and feels sleek and cool. And it comes in a rainbow of designer colors to match any mood or pair of pumped up kicks. The wristband is difficult to get on due to a extremely tight clasping mechanism, but once it is on your wrist it has a pitbull’s tenacity that allows it to survive even the most vigorous runs, workouts, or the wildest tossing and turning of a sleepless night. Unlike the Jawbone UP, which a friend of ours claims to have misplaced when he carelessly “took off his jacket,” the Flex isn’t going anywhere once it’s locked into place. 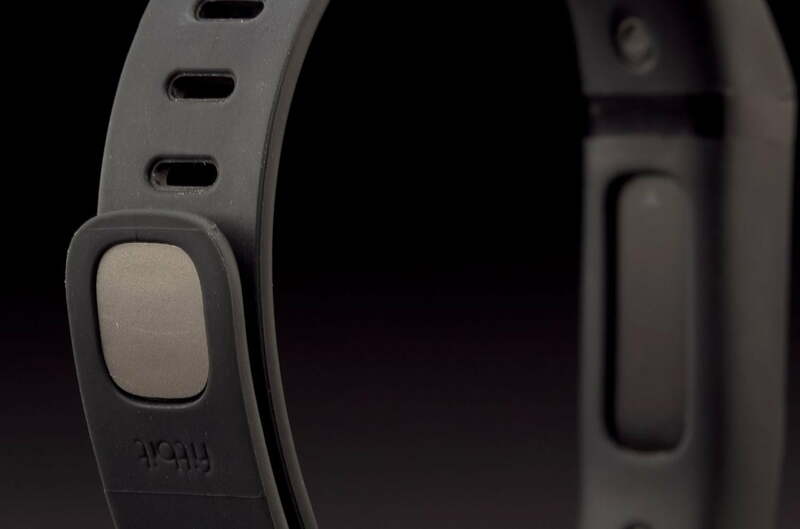 And while we find it hard to believe there was ever a fitness tracking device that wasn’t waterproof, the Flex most certainly is. And that’s good because after a while it’s easy to forget that you’re even wearing it. The feature that blasts the Flex out in front of older, first wave fitness trackers is its wireless sync capability. The Flex communicates through Bluetooth 4.0 to the Fitbit iOS and Android apps and wirelessly to the Fitbit Web Dashboard via a Mac or PC. With the included wireless dongle plugged into your computer’s USB port the Flex will automatically sync to update step progress any time you get near the computer. This feature will be most appreciated by people who’ve used old fitness tracking devices that had to be plugged into a computer at the end of each day before any daily output analysis could be done. With the Flex checking progress in real time is as simple as flipping on the iPhone app and viewing current steps, distance traveled, calories burned, and time spent sleeping. The Flex also makes it simple to keep track of food consumed (similar to the app My Fitness Pal), water intake, and a log of daily body weight. The Flex has a social side as well. Users get badges and progress reports delivered to the Fitbit Connect app during the day, but the Flex’s friends menu turns moving around into a competition. If your friends enjoy sharing all their intimate fitness details (and have a Fitbit account) you’ll get to see the number of steps they’ve taken in the last seven days all ranked in a list. It’s not exactly like competing in the Ironman, but competition is competition and if you want to call out a friend for being a desk drone, you’ll have all the data you’ve ever wanted. The Fitbit Flex we tested came with the Fitbit, the wristband (in black), a USB charging/connection cable, and a USB dongle for wireless syncing via PC to the web-based Fitbit Dashboard. Setting up an account on both the Fitbit web Dashboard and the iPhone app was simple and straightforward. After logging in we created a personal profile by entering our age, height, stride length, and running stride length. If you’re into sharing, there are also settings that allow you to automatically send progress updates to Twitter and Facebook. 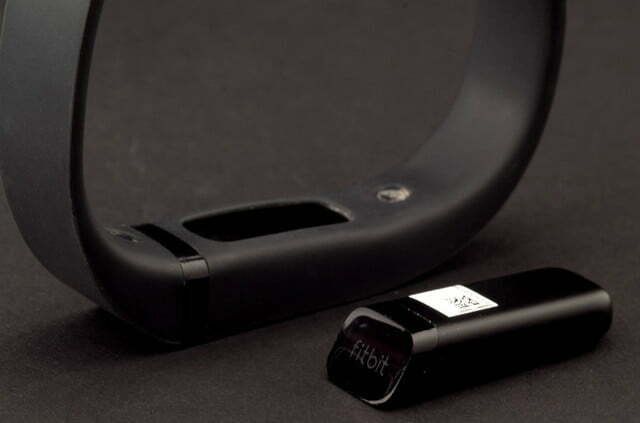 Then, turning on Bluetooth on our iPhone, we set up the Flex device to sync with the iOS app Fitbit Connect and to our laptop with the included USB dongle. 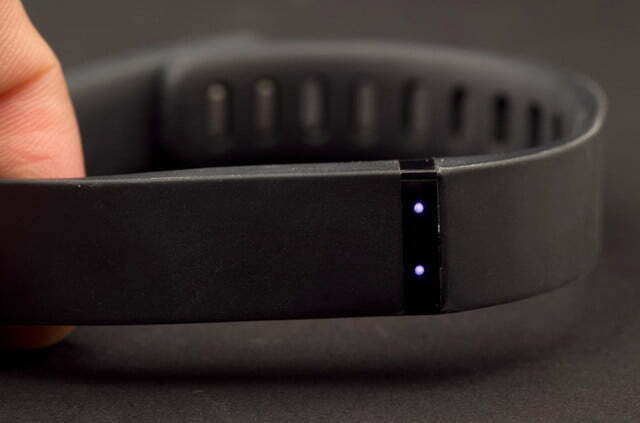 Everything was rolling fine until the second day of our Fitbit Flex test. We found that having access to the numbers of steps we were taking each day suddenly made that metric important to us – so important that we found ourselves checking our stats far more often that we needed to. So that afternoon, when we looked at the Fitbit Connect app on the iPhone and found that we had only burned seven calories, we were disturbed. It was 2:30 PM and we’d already ridden 34 miles on a road bike, walked up and down our stairs dozens of times, and still there it was, seven calories burned against a goal of 3,000. Connect was also telling us that we had only 307 calories left to eat that day and yet we’d only only eaten 470 out of a scheduled 2,392. 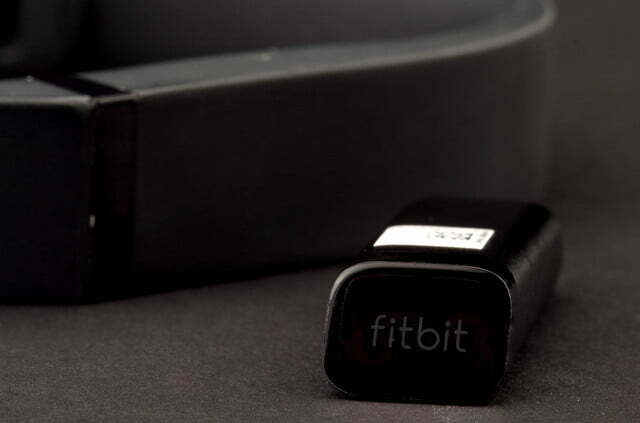 A quick search of Fitbit’s support page clued us in to a temporary issue they were having on the server side, which was being addressed, so the only takeaway from the problem was that it’s surprisingly easy to get annoyed about not having data that, just two days ago, we didn’t even know we wanted. Not every glitch we encountered would prove to be temporary, however. Tracking sleep was the metric we were most interested in exploring, but setting the Flex to record sleep times was confusing, requiring either “tapping the band four times” or “tapping the band repeatedly for two seconds” (depending on which version of the instructions you’re reading). At that point the Flex should “vibrate and display two slowing dimming lights to indicate that sleep mode has begun.” Preparing for an afternoon power nap, we tapped the Flex four times and then nodded off. After waking up we tapped the Flex again, however, in a groggy post-nap state we weren’t sure that it “vibrated and flashed all five LED indicator lights three times” and then displayed a “spinning light pattern.” We didn’t even know what the spinning light pattern was supposed to look like, because there’s no way to see it until you see it. After a quick sync to the PC and the Fitbit Dashboard (which had been miraculously fixed by Fitbit engineers while we were sleeping) we realized that the nap had not been logged, meaning we’d not put the Flex into sleep mode properly. This introduced us to one of the biggest downsides of using the Flex: with no real readout or screen aside from the five tiny LED lights, interacting with the device feels like attempting to communicate with a Star Wars R2 unit. We knew we did something and that the Flex was trying to reply, but the content of the communication was completely lost in translation. Next, we were curious to see how the Flex records steps. Turning on the iPhone app, while standing still, we waved our arm around and watched as a flurry of steps were logged even though we hadn’t moved an inch. Through further testing we discovered that pretty much any movement we made with our our Flex-wrapped arm recorded a step. Waving at someone: four steps. Shaking hands three steps. Reaching for a cup of coffee: two steps. This thing was even counting steps while we were eating. For comparison, a 34 mile bike ride was logged as nine miles of walking. And manually entering the ride and exact time using the iPhone app did nothing to change our step count or distance covered. It seemed the Fitbit Connect app should be able to sort out other exercises vs. walking for a more realistic view of the day’s activities, but it doesn’t. We did eventually learn most of the blinking-lights-and-vibration code and discovered that putting the Flex to sleep and waking it up wasn’t that difficult once we got used to tapping repeatedly until the lights blink. Checking progress toward the daily step goal is as easy as giving the Flex a tap and then looking to see how many of the LED lights are lit. Three lights and you’re about halfway. Four lights and you’re almost there. When you do reach you goal the Flex throws a little celebration by blinking all five lights and vibrating with joy. The battery charging on the Flex is not even an issue. 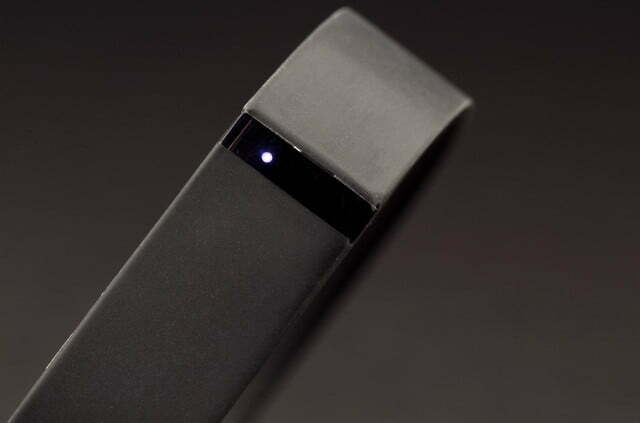 Even with our nearly constant Bluetooth monitoring of the data and 24-hour use, the Flex stayed charged for nearly a week at a time. In fact, we sometimes forgot that it needed to be charged at all. But that’s okay because when it needs needs juice it let lets you know every way possible. The Flex blinked and buzzed, and the web Dashboard, and the Connect app both informed us that the battery was running low and that our Flex needed to be plugged in. Charging the Flex means popping the bean brain out of the wrist strap, pressing it into its USB connector cable, and plugging in into an empty slot on the computer or USB wall plug. In a little more than an hour all five lights were on and the Flex was ready for another week of action. 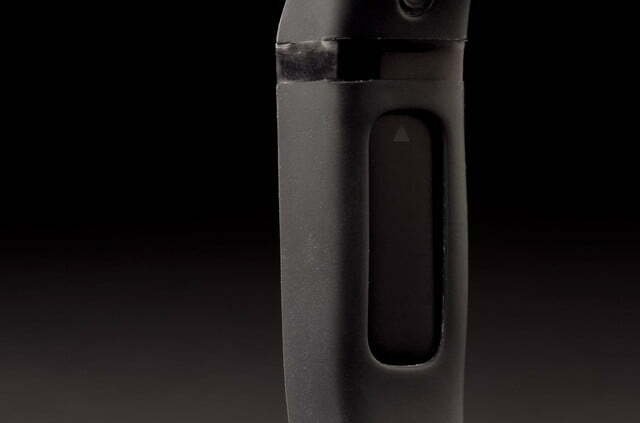 The Flex feature we enjoyed most was the silent, vibrating alarm. The Flex has no way to let you know the current time, however, it can be set to vibrate at a specific time. By using the Fitbit Dashboard or the Connect app it’s easy to set different daily alarms. We set one for our Tuesday/Thursday group rides, another for a Sunday morning skateboarding session and then all we had to do was make sure we were wearing the Flex when we went to sleep. The light, pulsing vibrations the Flex makes when the alarm goes off are like being tickled awake by a fairy’s wings on your forearm, compared to the caustic, quiet shattering blast of an iPhone Marimba chime. And, if you’re sleeping with someone else, the Flex alarm can wake you up without bothering your bedmate in the least. This was a a greatly appreciated feature around our house. What we discovered after two weeks of fitness tracking is that the Flex is a stylish, attractive recorder of general activity and motion. For people who aren’t already following a consistent, organized, exercise program, yet want to make sure they’re staying active and motivated, the Flex is great. For those accustomed to more serious performance tracking devices in their exercise regimens, the lack of data detail or quality feedback offered by the Flex will be extremely disappointing. It’s almost like the Flex is a fitness tracker for amateurs. It is fun to wear, entertaining to check daily progress and compete with friends, but in the end its not a device that gives exact hard data about much of anything. 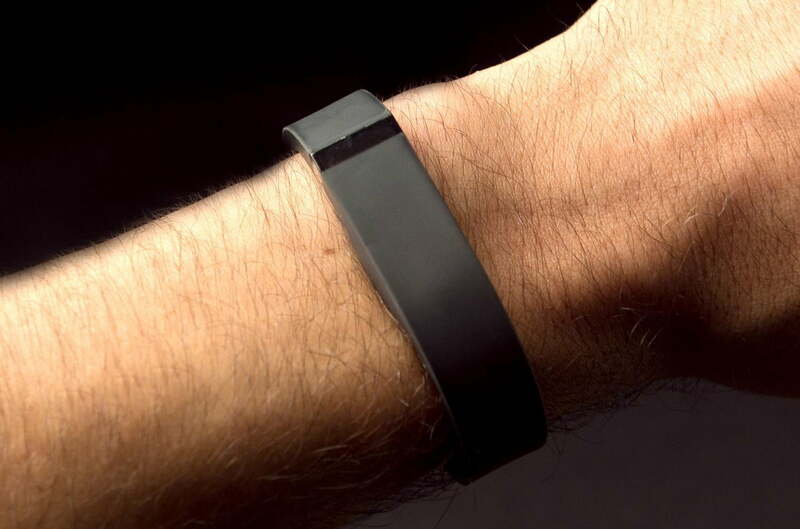 The feature we’ve been missing the most, since returning our test Flex to Fitbit, is the silent alarm. 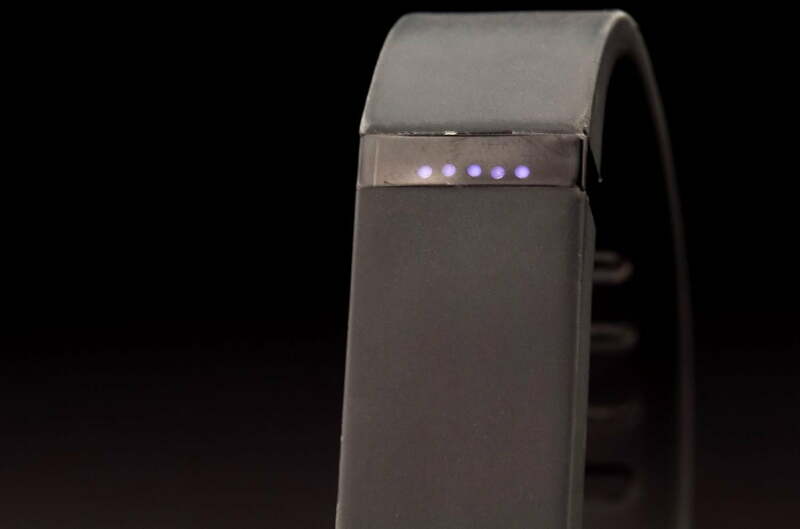 In fact, we’re thinking about spending the $99.95 just so we can wear the Flex at night and and get up without waking anyone when we duck out into the pre-dawn light to do some real exercise with some more rigorous fitness tracking devices.